True to President Reagan’s vision of a shining city on the hill, this new Fabergé egg commissioned by Congress celebrates the symbiotic relationship between government and the citizenry, thanks to whose selfless sacrifices this glorious institution has flourished over so many years. After the fanfare and celebratory atmosphere wound down in the wake of the country’s landmark second inauguration, Congress saw fit to commission a piece of commemorative art that would celebrate their accomplishments and their vision for the future of America. Although no one conceded much admiration for the Romanovs, several prominent congressional leaders were mesmerized by the elegance and detail of the famed jeweled Fabergé Eggs that were produced for Czar Alexander III and later Czar Nicholas II, as symbols of the power and wealth of imperial Russia. They decided to commission an egg for the government of the United States. Congressional staffers were instructed to contact the US Embassy in Switzerland to find Deepak Fabergé, one the few remaining descendants of Russian Imperial Jeweler Carl Fabergé who had been rumored to still be producing jeweled eggs in his attic workshop in Lausanne. As soon as he was located, an Air Force C-32 transport plane was dispatched to Geneva in short order to pick up Fabergé and spirit him off to Washington, DC. 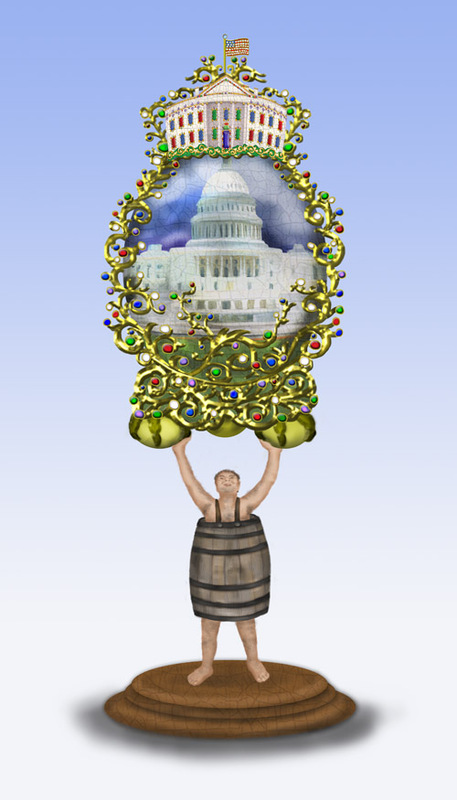 After a few formalities and several bottles of scotch, a select Congressional subcommittee instructed Fabergé to produce an egg for display in the Capitol rotunda that would glorify the seat of power that has made so much progress possible and also convey the nation’s appreciation for all the support and sacrifice on the part of the citizenry. They told Fabergé that money was not a concern and to produce as elegant a piece as he could conceive. It was a tradition in the Fabergé family of jewelers that each egg would contain a surprise inside, and not even the recipient, however prominent an individual, was to know the contents of the egg in advance of its delivery. After Fabergé returned to his atelier in Lausanne to begin work, the committee members waited in anxious anticipation of the delivery of the egg. What surprise might this new egg contain? Jobs? Health Care? A balanced budget? Is she drinking a fine aristocratic Cabernet or taking a daring ride on the commoner’s Night Train? Anyone who follows politics knows about Nancy Pelosi, the former Speaker of the House and a leading proponent of the Health Care Reform Bill that was rushed through Congress in 2009 using the controversial reconciliation process. Many are also aware that she has been involved in the wine business in California for many years as the owner of Zinfandel Lane Vineyard, a producer of premium grapes in St. Helena and also as a major investor in the bulk wine producer, Ernest & Julio Gallo. 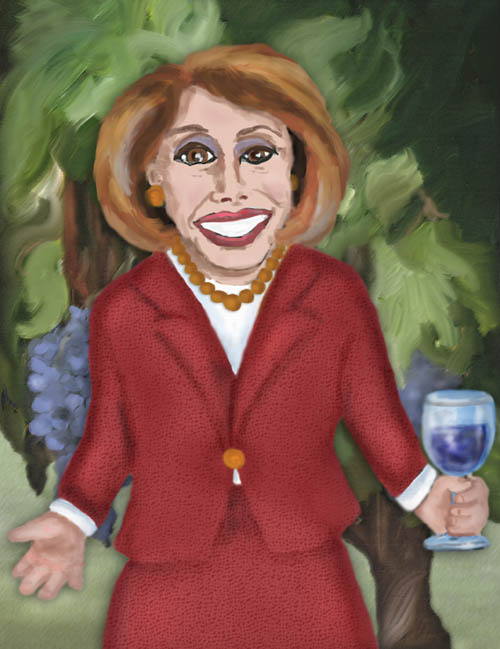 One evening we caught a glimpse of Rep. Pelosi enjoying a glass amongst the grapevines in her vineyard. We could not help but wonder, is it a glass of Liparita’s prize-winning Cabernet Sauvignon or is it perhaps a snort of Night Train or Thunderbird, two revolting Ernest & Julio Gallo inebriants typically associated with the bottom rungs of the lowest quartile of the Ninety-Nine Percenters? 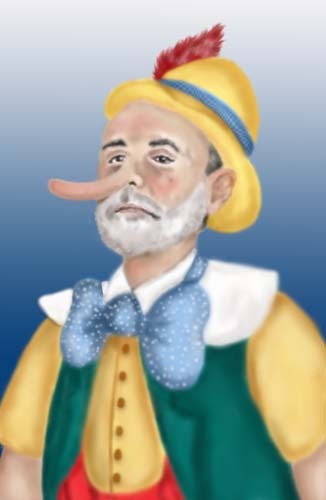 On Wednesday, April 27, 2011, for the very first time in history, the Chairman of the Federal Reserve held a press conference and took open questions from journalists representing prominent news organizations and prestigious financial publications. During his opening statement, the Chairman denied that the liquidity being added through the quantitative easing program and the purchase of hundreds of billions in Treasury debt has contributed to inflation. He further asserted that the current rise in prices was a temporary phenomenon and that they would revert to historical norms in due time. The Chairman also reiterated the Federal Reserve’s commitment to maintaining a strong dollar. When Treasury Secretary Geithner made a similar statement in 2009 during an address to students at Beijing University, he elicited loud bursts of laughter from the audience. These rosy predictions fly in the face of what ordinary consumers are experiencing on a daily basis when they shop for basic necessities. Just as the US Department of Agriculture predicted in October of last year, retail prices for fresh fruit and vegetables, bread, dairy products and meat have gone up dramatically, some of these registering annualized increases of as much as 14%. The Consumer Price Index published by the Bureau of Labor Statistics concedes a 3.6% inflation rate over the last 12 months for food purchased for consumption at home, and this is likely to be understated. Even McDonald’s Corporation announced last week that it expects inflation in food costs this year, and everybody knows that when the clown speaks, people listen. Also, people need to get to the store and to their place of employment, assuming they are lucky enough to have a steady job. Over the last six months, gasoline has increased at a rate of more than 6% per month from $2.82 to $3.87 per gallon and there is no relief in sight from the destructive impact wrought upon budgets of families already stressed by the long recession the country has been experiencing. Maybe the government really does have inflation under control as we’re being told, but more likely, the wooden man with the nicely trimmed beard and the prominent nose hasn’t filled up his car or been to the grocery store lately. 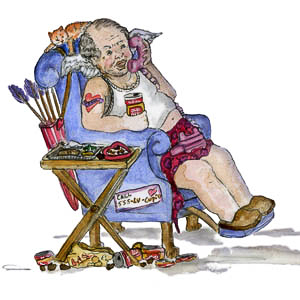 The tough economy forces yet another senior citizen out of retirement and back into the work force.